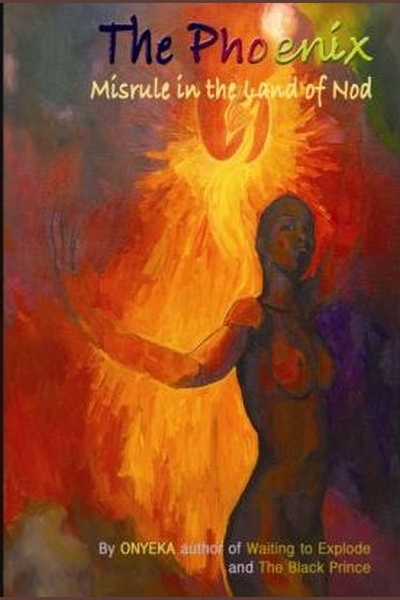 Author Onyeka releases The Phoenix – Misrule in the Land of Nod. Onyeka is a writer, educator, and historian. A lecturer in Law, researcher and consultant. Onyeka is a bridge between educators, academics, and the local community; he can speak the language of the boardroom, the classroom and the street. With an academic career stretching back into the late nineteen eighties he matches this with his knowledge as an independent publisher and novelist for which he has received numerous awards. England 2008: The death of Black people in England is collateral damage. They are expendable! England cares more for its cats and dogs than it does for the young people being murdered. Political correctness is dead! The not so silent majority shouts patriotic pastiche from the rooftops. In this climate Onyeka writes the Phoenix. It is a picture of man’s inhumanity to man and our redemption of self through will, spirit and fortitude. The Phoenix is not an advert for political correctness but rather a snap shot of the highs and lows of modernity. Behind the corporate headlines and mass produced cultural motifs which parade as the voice of decency and Englishness, stands another England. This England: voiceless, ignored and neglected must be heard. The Phoenix flows naturally from the international success of Waiting to Explode and the Black Prince. The Phoenix tells the story of Black men and women’s renaissance through the political and cultural framework which is England. Daring, fresh, thought provoking and inspiring, this is not a comfortable book! Onyeka’s work is injected with pain, humour, sorrow, and hope. This controversial and strictly in your face novel, is a gritty, realistic exploration of the Black man’s psyche into manhood and the Black woman’s psyche into womanhood. Don’t miss the opportunity to be at the forefront of exciting reviews and reactions to Onyeka’s .. The Phoenix – Misrule in the Land of Nod.